4-Word Review: Dead daughter gets reincarnated. On October 3rd, 1965 at precisely 8:20AM a young Audrey Rose dies in a fiery car crash. At 8:22AM on that same day Ivy (Susan Swift) is born to Janice and Bill Templeton (Marsha Mason, John Beck). 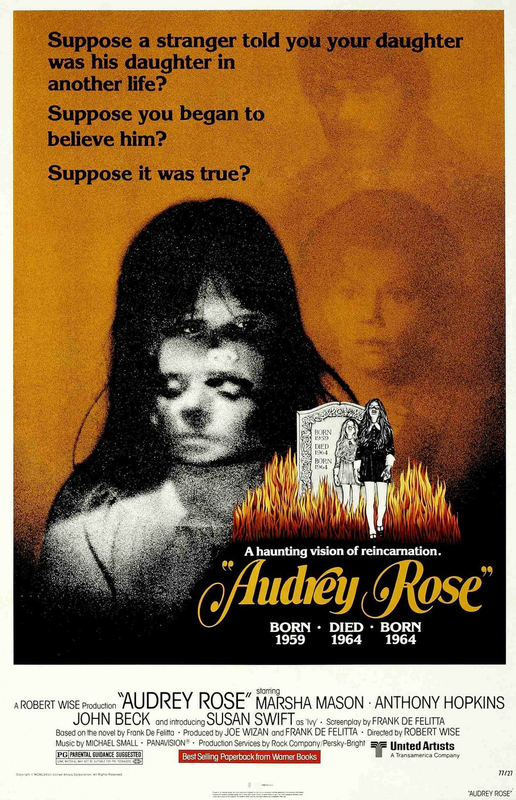 Several years later after talking to a couple of psychics Audrey’s father Elliot (Anthony Hopkins) becomes convinced that his dead daughter has been reincarnated in the body of Audrey. When he approaches Ivy’s parents about it they scoff and then when he tries to take her they have him arrested. He then goes on trial where he tries to get 12 jurors to believe that reincarnation is a reality. Based on the Frank De Felitta novel, and who also wrote the screenplay, this odd hybrid of a horror film never really takes-off. 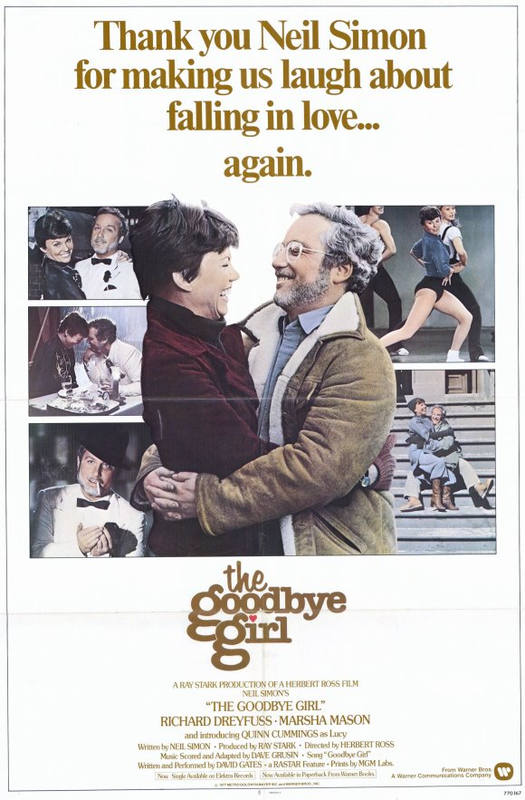 Director Robert Wise does a terrific job of capturing the Manhattan skyline and a late 70’s New York City ambience as well as the gorgeous classic paintings that line the ceiling of Janice’s and Bill’s apartment, but he has a story that is light on action. The restrained and genteel narrative creates a film that seems more like a conventional drama than a horror film despite a storyline that is brimming with supernatural elements. Every effort is made to keep the proceedings as realistic as possible only to have the entire second hour delving into a court room drama with a defense strategy that is so outlandish it becomes almost ludicrous. Having Elliot become convinced of the reincarnation through talking to psychics is another weak point. The few so-called psychics that I have been to have proven to be inaccurate and unreliable and most people that I know have had the same experience. In the past few years several famous psychics have been outed in the media as being frauds and charlatans. Having the film treat these people like they are a reliable source puts the entire premise on poor footing from the very beginning. Mason can play a distraught and beleaguered character about as well as anyone and her teary-eyed presence helps give the film a few extra points. Beck is also good as her husband and their contrasting personalities and approaches to the situation add an interesting subtext. Not to necessarily sound cruel but Swift as the young girl has a big pair of buggy eyes that to me became more of a distraction as it went along. Also, with her long brown hair she starts to resemble the Linda Blair character from The Exorcist, which was a far more intense, scary, and exciting film than this one. The producers would have done well to have cast a blonde or redhead in the role simply to avoid the comparison. The scares are almost non-existent and the only slightly spooky moment is the scene where Swift looks into a mirror and chants the Audrey Rose name repeatedly, which is the only time where her buggy eyes come into good use. The several scenes showing her running around the place and banging onto the widows while screaming become old pretty fast. The direction is slick and the production values good. It is compelling enough to be entertaining, but the ending is very unsatisfying and as a thriller it is transparent and unmemorable.